We have several fun and exciting packages to help you experience all of the great things we have to offer here at Soaring Eagle Casino & Resort. Are you looking for something for that special someone? Do you want to show your sweetie just how much you care? The “Sweetheart Package” might be just what you are looking for. This optional package is designed to help you show them just what they mean to you. Are you looking for something for that special someone? Do you want to show your sweetie just how much you care? 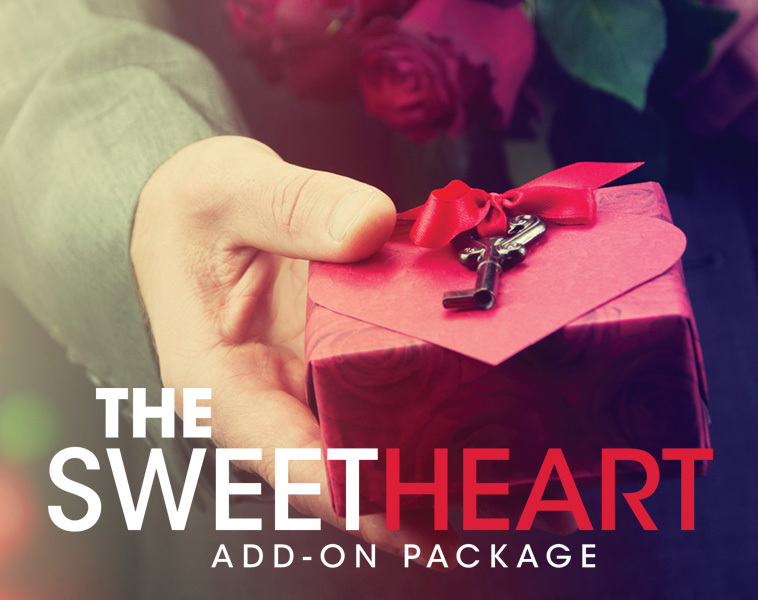 The “Sweetheart Package” might be just what you are looking for. This optional package is designed to help you show them just what they mean to you. Looking for the perfect touch to celebrate the love that you share? Our Amore Package might be just what you are looking for! Anniversary? Honeymoon? Birthday? Looking for that something special, a way to set exactly the right mood? 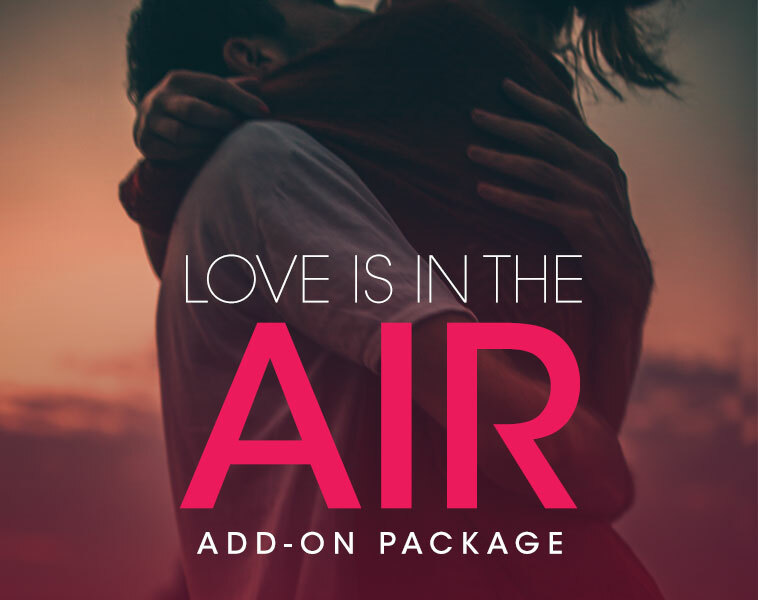 Our “Love is in the Air Package” package is just the thing. Looking to make the trip from afar to Soaring Eagle Casino & Resort? 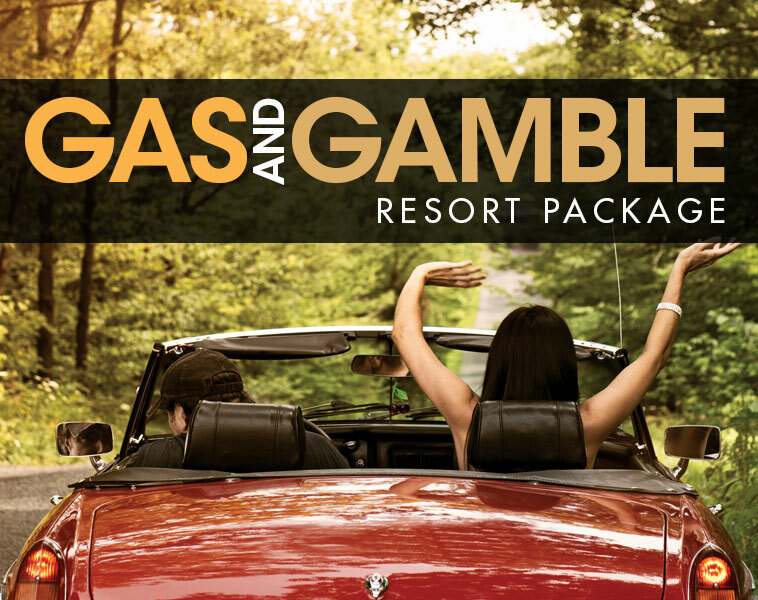 Let us help make things easier by taking advantage of our Gas and Gamble package. 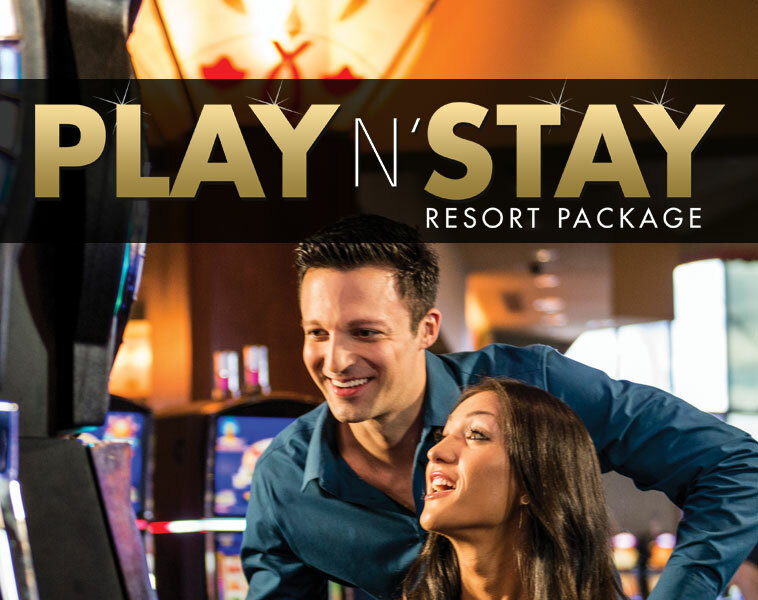 Our Play N’ Stay Upgrade Resort Package is the perfect overnight getaway to experience the fun and excitement of our gaming floor, tantalizing dining options and luxurious resort. Do you have a sweet tooth? Looking for something to snack on before bed? 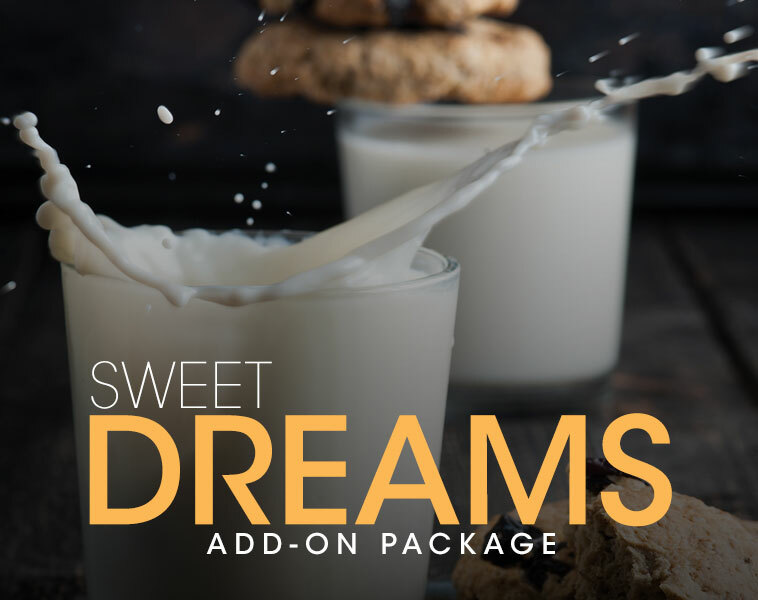 Soaring Eagle’s homemade cookies and milk will hit the spot. Add-on package requires at least 48 hours notice. 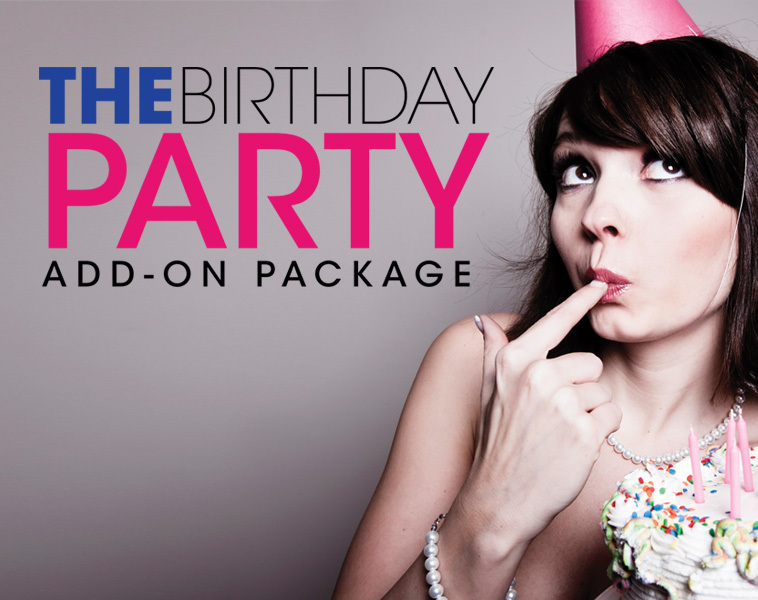 Celebrating a Birthday, an Anniversary or a special Event? Are you really looking for that “WOW”? This family sized amenity package can serve up to six and will ensure your celebration is a joyous one. Are you out for a night with the guys or gals? Just need a little something to get your evening started? 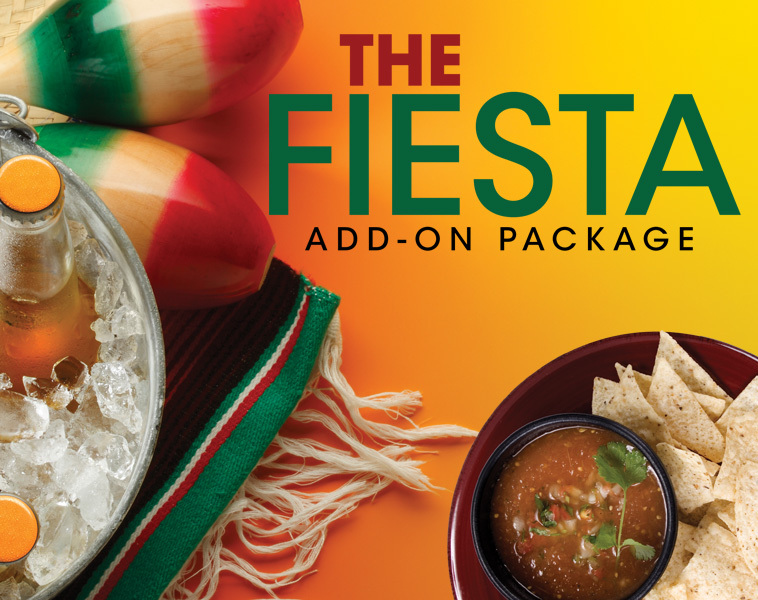 The “Fiesta Package” can do just that. 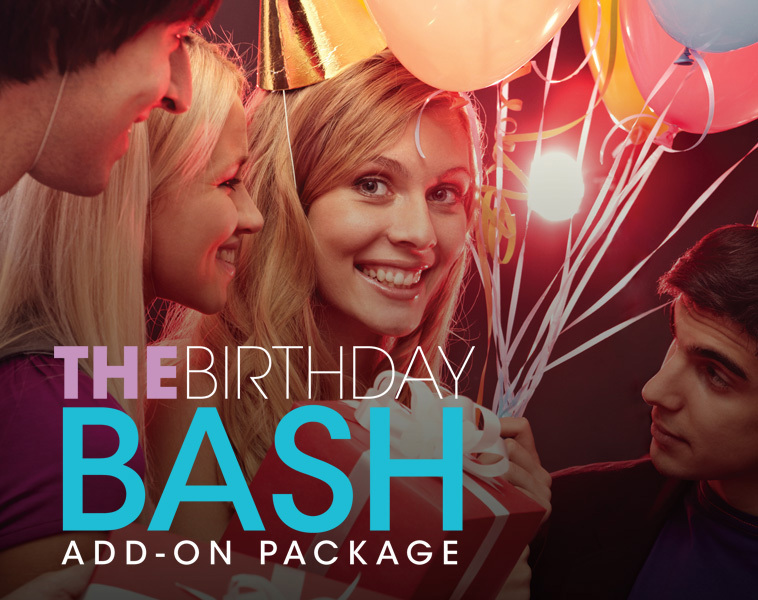 This optional package is designed as you own personal “Happy Hour”! Looking to unwind and relax for a moment after traveling? Let us bring Happy Hour to you. Experience a taste of Mt. 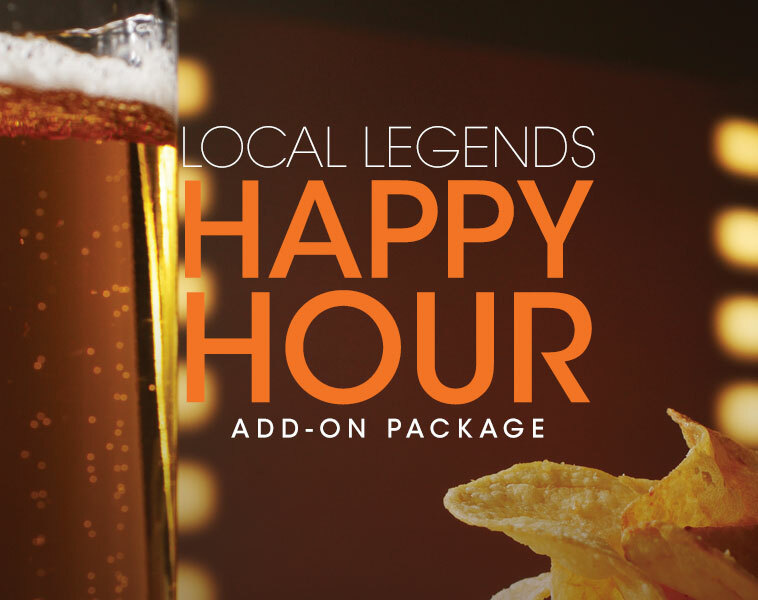 Pleasant with our “Local Legend’s Happy Hour Package”, featuring ales and snacks made locally. Enjoy the full body and smoothness of Mountain Town Brewing Company’s Train Wreck Ale. This American Amber style ale is brewed with Michigan Maple Syrup and Honey to give it a smooth sweetness; complimenting these ales, is Soaring Eagle’s own hand-cut chips and guest favorite Sour Cream Onion Dip. 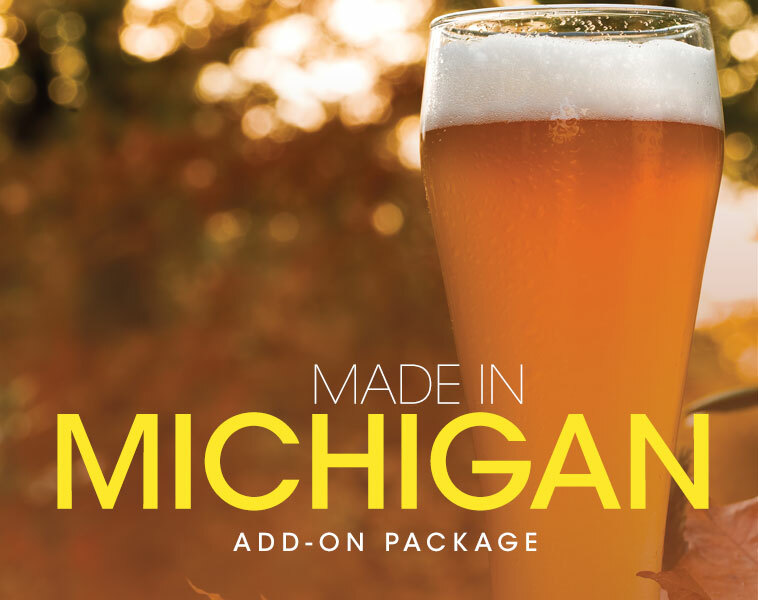 Experience your own person happy hour delivered to your room, featuring local favorites with our “Made in Michigan” Happy Hour Package. Enjoy the perfectly balanced Two Hearted Ale with a malt backbone and combined with the signature fruity aromas of Bell’s house yeast, this beer is remarkably drinkable and well suited for adventures everywhere, paired with Soaring Eagle’s own hand-cut chips and our guest’s favorite Sour Cream Onion chip dip. SURPRISING SOMEONE WITH A RESERVATION? Click on the link below for our Credit Card Authorization Form when you are paying for a reservation for another party.